> Rayful Edmond III is now part of the United States Federal Witness Protection Program and his place of incarceration is confidential. Rayful Edmond III is now part of the United States Federal Witness Protection Program and his place of incarceration is confidential. 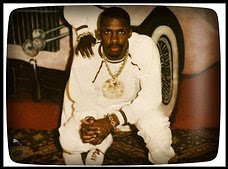 Rayful Edmond III is largely credited with introducing crack cocaine into the Washington, D.C. area. Columbians was alleged to have moved In an indictment involving two of Edmond's associates, it said that they bought between 1000 and 2,000 kilos over a 1 week period at a time. In 1992 from the Trujillo-Blanco brothers, who were associated with the Medellin cartel, and sold the drugs to Washington area wholesalers. He was known to have spent some $457,619 in an exclusive Georgetown store (Linea Pitti, specializing in Italian men's clothing) owned by Charles Wynn who was later convicted on 34 counts of money laundering.Edmond was arrested in 1989 at the age of 24. His arrest and subsequent trial were widely covered by local and national media. Judicial officials, fearful of reprisals from members of Edmond's gang, imposed unprecedented security during the trial. Jurors' identities were kept secret before, during, and after trial, and their seating area was enclosed in bulletproof glass. Edmond was jailed at the maximum security facility at Marine Corps Base Quantico in Virginia and flown to the Federal Court House in Washington, D.C. by helicopter each day for his trial. Authorities took this unusual step due to heightened fears of an armed escape attempt. This gang was believed to have committed over 40 murders including the attempted murder of a local pastor, the Reverend Mr. Bynum, who was shot 12 times during an anti-drug march in his Orleans Place neighborhood.Rayful continued to deal after being incarcerated in Lewisburg, PA federal prison. In 1996, Edmond and another drug dealer from Atlanta, named Lowe, were convicted after conducting drug business from a federal prison phone. Edmond received an additional 30-year sentence. Edmond's case is one of the most notorious abuses of such phone privileges and an embarrassment for the Bureau of Prisons. In an interview with the Bureau of Prisons, Edmond said he had spent several hours every day on the telephone, occasionally using two lines simultaneously to conduct his drug business.Following this conviction, Edmond became a government informant in order to secure his mother's release from prison and a reduced sentence. Edmond is still incarcerated but is now part of the United States Federal Witness Protection Program and his place of incarceration is confidential.